successfully passed the Philippine Distribution Code Compliance Assessment recently conducted by the Distribution Management Committee (DMC), officials said today. pedestrians and utility personnel involved in its daily operation,” Engineering Manager Mark Sam Banluta said in a statement. Celia S. Lim, a power consumer in Cotabato City, have noticed the improvement. sets the fundamental rules and procedures concerning operation, maintenance, development, connection,and the use of the electric distribution systems in the country. She added that DMC’s evaluation focused primarily on the first and second priority standards with regard to distribution system operations, customer service performance, emergency and safety procedures, and technical reports of CLPC, also known as Cotabato Light. “This recognition further shows AboitizPower's and CLPC's commitment to continuously improve and to explore better ways in providing quality service to our customers and stakeholders," Rodger S. Velasco, CLPC Senior Vice President and Chief Operating Officer, said. Compliance of PDC’s provisions is mandatory to all distribution utilities in the Philippines. Engr. 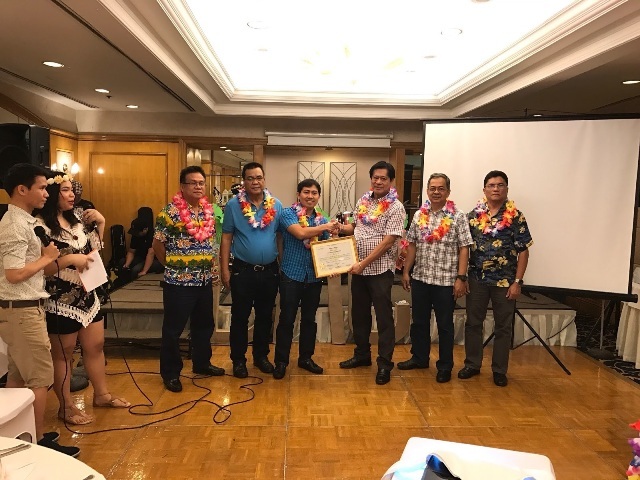 Banluta received the award on behalf of the Aboitiz-owned distribution utility in ceremonies held last month at the Richmonde Hotel, Ortigas Center, Pasig City. safety measures to ensure its human resources are efficient and safe in performing highly risky electrical works. He said consumers are assured of reliable and quality power supply, uninterrupted services except matters that are beyond its control. CLCP distributes power supplied through the National Grid Corporation of the Philippines (NGCP). Nataño said the recognition means efficient business processes and effective documentation of pertinent papers crucial to business operations. “Yes, we are now part of the few electric distribution utilities in the Philippines compliant to the requirements of PDC. We can proudly say that we are now at par with the big distribution utilities like Davao Light and Visayas Electric Company,” Nataño said. CLCP distributes electricity to consumers in Cotabato City and the towns of Sultan Kudarat and Datu Odin Sinsuat in Maguindanao.